Career Goals I plan to teach in some capacity. Values Work ethic, honesty, and respect. Reason for Choosing UVA I was very excited about how interdisciplinary the research is and impressed with how much the students enjoy working with their professors. Congratulations to Shane Woolf for winning third place at the Department of Chemistry 3rd Year Poster Session for his poster entitled "Development of a Rapid, Microfluidic Method for the Automated processing of Sexual Assault Evidence". Congratulations to Anchi Tsuei for winning second place overall at UVA's annual 3 Minute Thesis Competition for her talk entitled "Rapid Screening of Sexual Assault Kits to End the Backlog". Congratulations to Leah Dignan for winning first place overall at the 35th International Symposium on Microscale Separations and Bioanalysis (MSB) for her poster entitled "Development of an Automated Centrifugal Microfluidic Device for DNA Purification using Dynamic SPE and Novel Actuated Valving". Anchi Tsuei presented her poster entitled, "Automated Microchannel Alignment Using Innate Laser-Induced Fluorescence Signature for Microchip Electrophoresis" at the 22nd International Conference on Miniaturized Systems for Chemical and Life Sciences (uTAS). Shane Woolf presented his poster entitled, "Towards a Fully Automated Centrifugal Microfluidic Device for DNA Purification Using Dynamic Solid Phase Extraction and Novel Laser Actuated Valving" at the 2018 Forensic Analysis of Human DNA Gordon Research Conference (GRC). Anchi Tsuei presented her poster entitled, "Rapid Screening of Human Male DNA via Colorimetric Loop-Mediated Isothermal Amplification" at the 2018 Forensic Analysis of Human DNA Gordon Research Conference (GRC). Congratulations to Charlie Clark for winning first place overall at the 2018 Forensic Analysis of Human DNA Gordon Research Conference (GRC) for his poster entitled "Improvements in Acoustic Differential Extraction of Sexual Assault Samples". Congratulations to Tiffany Layne for winning third place overall at the 2018 Forensic Analysis of Human DNA Gordon Research Conference (GRC) for her poster entitled "Development of a Novel Isothermal Amplification Panel for Cost Effective and Rapid Body Fluid Identification and Y-Screening". Congratulations to Charlie Clark for being awarded the Jefferson Scholars Foundation Dissertation Year Fellowship for 2018. 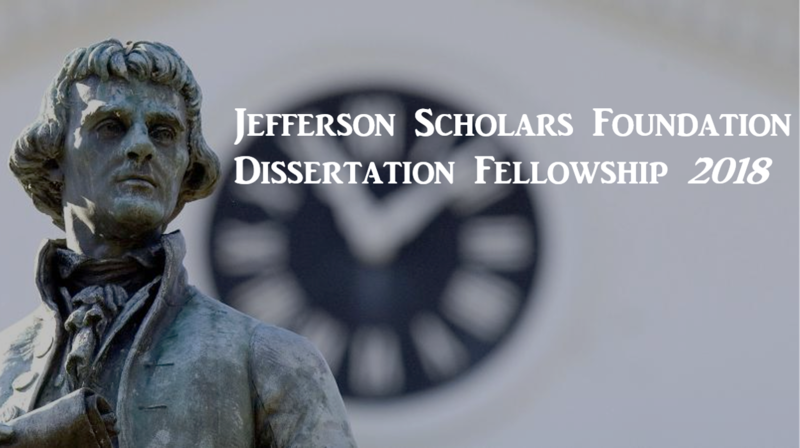 The Jefferson Fellowship is the premier graduate student fellowship offered at the University of Virginia. Jefferson Fellowships are designed to identify Ph.D. candidates who demonstrate outstanding achievement and the highest promise. Congratulations to Charlie Clark for winning first place at UVA's annual 3 Minute Thesis Competition for his talk entitled "Reducing the Backlog of Sexual Assault Samples". 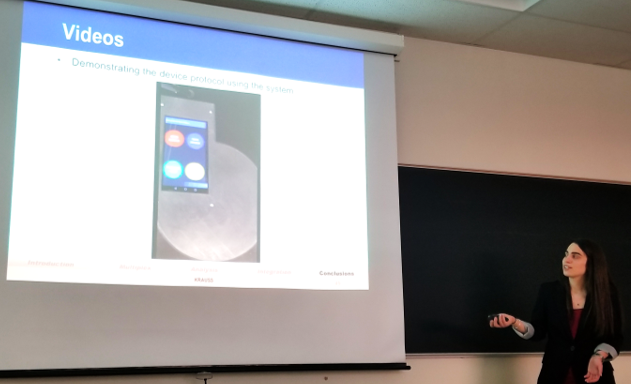 Congratulations to Shannon Krauss, PhD for defending her graduate thesis entitled "Development of Portable Sample In-Answer Out Microfluidic Systems for On-Site Analyte Detection". Congratulations to Charlie Clark for being featured in Battling the Backlog: Part II in the July 2017 issue of The Analytical Scientist for his work on SONIC, an analytical instrument capable of separating sperm cells from epithelial cell lysate using acoustic force. 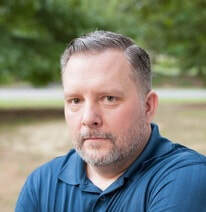 Congratulations to Brandon Thompson, PhD for defending his graduate thesis entitled "The Print, Cut, and Laminate Method: Rapid Microfluidic Prototyping for Clinical and Forensic Applications." Congratulations to Jacquelyn DuVall, PhD for defending her graduate thesis entitled "Rapid Systems for Detection of Pathogen and Human Nucleic Acids via Microfluidic Amplification." Graduate student Brandon Thompson and Postdoc Chris Birch presented their research at the 33rd International Symposium on Microscale Separations and Bioanalysis in Noordwijkerhout, Netherlands. David Dent is featured in an article for UVA Today in recognition of his excellence as a QuestBridge Scholar. Graduate students Shannon Krauss, Charlie Clark, and Anchi Tsuei presented their research at Pittcon's 67th Annual International Conference and Exposition in Chicago, IL. Charlie Clark travelled to the West Palm Beach Sheriff's Office (PBSO) forensic laboratory for external evaluation of the SONIC system, an analytical instrument capable of separating sperm cells from epithelial cell lysate using acoustic force. The instrument was also sent to the Mesa Police Department for testing. Congratulations to Shannon Krauss for winning the 2017 Adam Ritchie Award for most outstanding graduate student in the UVA Chemistry department.